After signing up, you’ll have to wait to hear back from Lyft as they will run a background check before giving approval to get out and drive. In the meantime, work on getting your vehicle inspection taken care of as you’ll need that document uploaded to your account before you can get on the road. 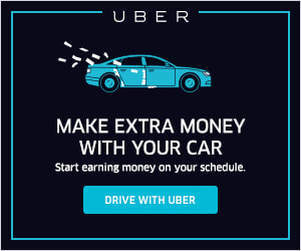 Looking for the Uber driver sign up bonus? Here’s our guide to earning the biggest Uber driver bonus you can. Lyft Bonuses: How Much is a Lyft New Driver Bonus? The Lyft New Driver Bonus works if you use a referral code, so be sure to sign up with one. You can get one from a current driver or use Harry’s code: Harry757. Keep in mind, seemingly following in Uber’s footsteps, the Lyft driver sign up bonus is really a guarantee, and not extra earnings on top of what you make, but a guarantee of making a minimum of whatever they are offering at the time. The guarantee itself varies from city to city, but it doesn’t matter whose code you use, your offer will be the same. At the time of writing this article, on their main driver sign up page, Lyft boasts a guarantee of $1,000 in 30 days for giving 125 in all cities with using the LYFTMAX promo code that Lyft provides. So, as you can see, she’s guaranteed a lot more ($2,800) than the $1,000 guarantee Lyft promised using their referral code. Though, keep in mind it’s for a longer period of time and for more rides than the direct Lyft offer. If you think you can do 295 rides in 90 days, it is a better deal overall. So You Want to Be a Lyft Driver? So if you’re reading this, you’re probably thinking about becoming a Lyft driver. Perhaps you aren’t sure what exactly is required or what the job entails. And like any responsible adult, you want to conduct some independent research first. You do not have to wear a giant mustache anymore. You do not have to fist-bump anybody. You can do that if you want to, but let it come naturally. Most drivers/passengers don’t really do this anymore so it’s not expected anymore either. Passengers can sit up front, in back or wherever. Just as long as it’s not the driver’s seat and they have a seatbelt on. You do not have to have a life-changing conversation with each passenger. Just match their energy. 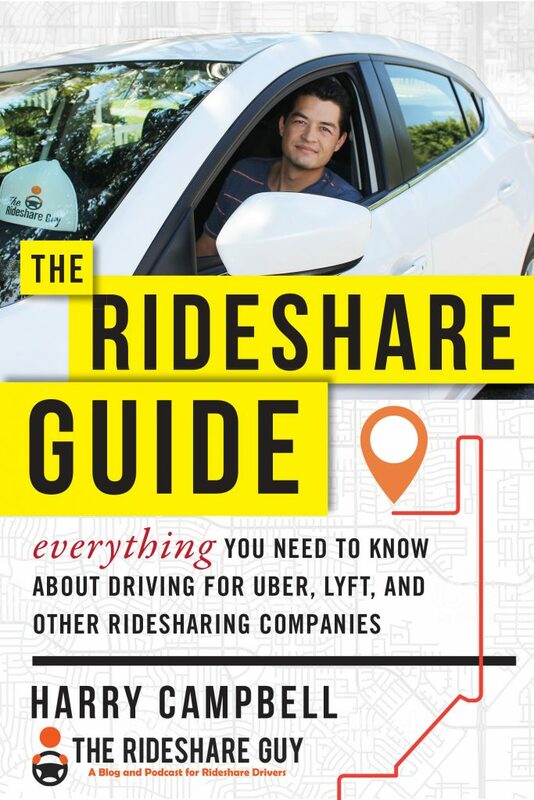 Uber is probably the biggest name in rideshare right now but that doesn’t mean you should forget about Lyft. So let’s focus on Lyft for now. Want to drive for Uber, not Lyft? Check out our article on the Uber driver sign up bonus here. Lyft is typically not as busy as Uber, but this is not true in all markets and as Lyft continues to grow in market share, drivers will see an increase in ride requests on Lyft. On the whole, most drivers actually prefer driving for Lyft too since they offer a much friendlier experience and corporate culture compared to Uber. The Lyft application process is relatively simple and you can often sign-up to be a driver right from Lyft’s site in just a few minutes. The site makes it simple to get started and in their pipeline and in a best case scenario you could be on the road in 3-5 days. For others, it may take a little longer though and your application can get clogged up if there’s a problem with your car, background check, or another piece of your application. Lyft does offer customer support for applicants but it can be difficult to get a hold of a knowledgeable rep and when you do, they’re not always the most helpful. So let us help you avoid any snags with our wisdom. Do not start an application. Yet. If you go to Lyft’s website and start an application you won’t receive any type of sign-up bonus. In order to ensure that you earn a sign-up bonus with Lyft, you’ll need to use someone, anyone’s driver referral code. 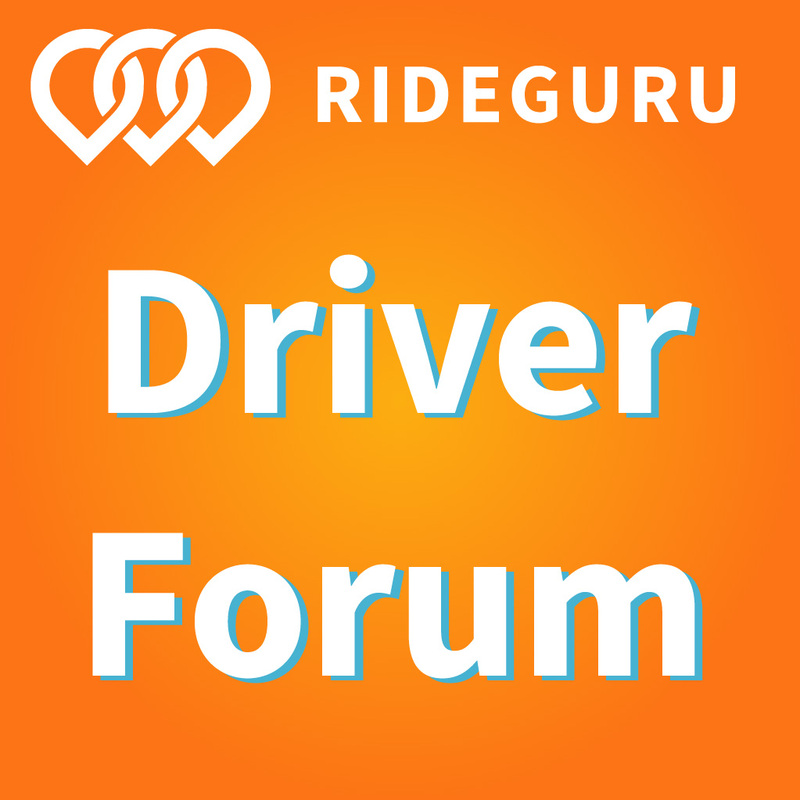 So before beginning an application, make sure you use a driver referral link to sign up. If you’d like to sign up for Lyft using our code, here is the link to do so. Signing up is easy. With the link above, you can fill out your information. You’ll start by filling in your phone number and reading and agreeing to the terms of service. From there, it’ll prompt you to fill in your name, email address and the city in which you’ll be driving. That’s and important part as it will determine the amount of bonus you’ll be offered. The Lyft driver sign up bonus is different from city to city, but it doesn’t matter whose referral code you use, you’ll be offered the same amount. You’ll be sent through an approval process including a background check. Once approved, you can get on the road almost immediately as long as you have all of the vehicle information entered and approved within the app. This includes proof of insurance; make, model and license plate number; and vehicle inspection. So many people routinely miss out on the sign-up bonus from being in a hurry that I have exclusively dedicated a section of this article to sign-up bonus strategies. Lyft (and other companies) count on the fact that the majority of new drivers are desperately trying to click on buttons in the application process to get on the road as fast as possible, and therefore will not do their research. It is important to find a link for a sign-on bonus before beginning an application with Lyft. The link you follow to start an application will determine whether or not you qualify for a sign-on bonus. If you do not apply by following the specific promotion link, you will not receive the promotion. You cannot apply a code retroactively nor can you write an email, send a letter, or make a phone call. If you do sign-up to drive with Lyft using my referral code, I’ll get an e-mail with your name and the bonus amount immediately. You can always e-mail me or leave a comment below to confirm that you entered the code correctly and how much of a sign-up bonus you’re entitled to. So now let’s explore two common promotions before you start filling out that application. Please note, these two bonuses are the only type of new bonus offers that Lyft uses to recruit new drivers at this point in time. This promotion requires that you use a referral link of another driver and complete a certain number of rides generally within 30 (or up to 90) days of being activated as a driver. As long as you hit the ride count within the 30 days, you and the other driver will receive a bonus of varying levels. So, she would be guaranteed $2,800 in earnings if she meets the 295 ride minimum in her first 90 days and I would earn $350 if she used my referral code when signing up as a driver. Once you become a driver, you will have your own link that you can use to refer friends, family or passengers to get a double-sided Lyft driver sign up bonus. I have found this to be particularly helpful for those friends of mine that need work NOW. Lyft does a pretty thorough background check on all applicants conducted through Checkr, Inc. Lyft dictates the following for its drivers (within the past 7 years). Keep in mind, Lyft also stipulates the following on their website: Please be aware that laws governing disqualifying convictions vary significantly by jurisdiction, and the above list is not inclusive of all disqualifying convictions. You may be found ineligible to drive for Lyft based on other types of records. Having Issues with Your Background Check? We’ve heard from some drivers who have been deactivated or rejected from becoming a driver after their background check was run and came back with inaccurate, but damaging, information. It’s important to remember that you are entitled to an accurate background check as part of the Fair Credit Reporting Act. So, if you have issues, you have the right to contact the background check company and dispute it. The background check includes driving and criminal history. Since it’s always handled with a third party company, you’ll need to contact that company if it comes back with inaccuracies, but be sure to loop in Lyft and Uber so they understand what you’re doing as far as trying to be reinstated as a driver. For a more in-depth look at what to do if a background check is inaccurate, check out this article. You may be surprised to find out that Lyft requires a newer model year car than Uber. Vehicle requirements may also vary by state/city. Check out your area for the most accurate information on Lyft at this link. Your A/C and Heater have to work well. Even if you plan to drive in Alaska, you still need working A/C. If you have a vehicle with seven or more seats (and seat-belts) your vehicle will qualify to receive Lyft XL calls (six passenger seats). Lyft XL calls have the unique ability to transport six or more passengers for 1.5x the normal rate of a regular Lyft. Lyft XL vehicles must still have four doors and meet all of the requirements on age and condition as a regular Lyft vehicle. Vehicles that qualify should automatically be opted in to receive XL calls. If you do not receive these calls for some reason, contact Lyft. Unlike UberXL, you cannot opt-in to only receive Lyft XL calls. You will not be notified in the app whether or not the request is for a Lyft XL or a regular Lyft. Lyft also offers higher end vehicle options for higher earnings. Aside from the standard Lyft (up to 4 passengers) and Lyft XL (up to 6 passengers), they also offer Lyft Lux, Lux Black and Lux Black XL. Each of these options have specific vehicles that are approved. For a full list in your driving area, take a look. Here is our guide to showing all your options for renting a car to drive for Lyft. 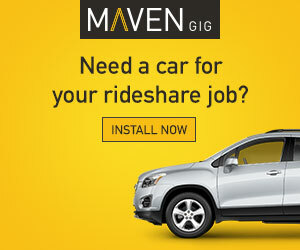 Click here if you’d like to see your options for renting a car to drive for Lyft. You do not have to schedule hours. You do not have to have anybody’s OK to log in to driver mode. You can literally log in and log out whenever you want. Once you select the Pink Steering wheel icon, you are in driver mode. You are live to receive calls. A lot of drivers like to jump the gun and head out on a busy Saturday night in downtown but I recommend a more mellow approach. You should begin in an area where you will receive calls yet be able to pull over and stop easily. This will allow you to switch between the Lyft app and your GPS app with less stress and get you into the muscle and mental memory of inputting addresses and searching for where to drive. The first few rides I gave were a little stressful. Although I had used GPS applications before, I had not used them to such a degree and could have used some time to figure out how to operate either Google Maps or Waze. As you use them more often, you learn when and how to interpret the data that they give you. Start in the Suburbs: I suggest starting in the suburbs where it is going to be a little slower and easier to pick up passengers. The pickup is the hardest part of the ride and making it easier will help you get in the groove. Another thing to keep in mind for your first rides is try it out during the day. Everywhere is harder to navigate when it’s dark out. House numbers are nearly impossible to see, so you have to rely completely on GPS to be correct in the dark. Navigation: Navigation is the number one reason for low ratings for drivers so take your time navigating and focus on doing it right. Think ahead about where it is telling you to go. If you know your area and your navigation app is telling you to take a route which will have a lot of traffic, trust your instincts. Also, if the rider is telling you to go a certain way, trust them. They probably know the area better than you do, especially if going home or going to work. But, keep in mind you’ll be picking up some people who know less about where they are going than you do, so be mindful of your navigation app. Pickup: I recommend checking the actual address that is inputted into the Lyft App. Park outside of that address in a safe area. If you are unable to find a safe area to pullover, go to the nearest safe spot and call your passenger to coordinate. Be Honest: Let your passengers know that it is your first ride and first day. Most are pretty receptive. On my first day, I told everyone I drove that it was my first time doing this, so my apologies up front if I don’t do everything perfectly. My ratings didn’t even suffer because I was forthright with all of my passengers. Communicate: Let the passenger know which route your GPS is taking you. See if they agree on its efficiency. In the event that they do not, follow the route that they give you. Act Natural: It may feel a little strange driving people for money at first. Some people get nervous. Act natural and pretend you are driving a friend or family member. Believe it or not, in addition to making some money for yourself, you are actually helping people remain safe when they party or saving them a ton of money from a standard cab fare. No need to be nervous. Most passengers will just be appreciative that you’re there for them. Candy/Water/Chargers: You can use Candy/Water/Chargers to help with your ratings. Not many drivers (myself especially) carry these items anymore though. You can use these to hedge your ratings against the fact that you are new and inevitably will make mistakes on the road. But only provide them if you want. Most don’t, so don’t think it’s the only way to get rated well or to have people enjoy your ride. I put this here again because it is important. Passengers prefer a genuine driver. Don’t try to fake it until you make it. Don’t act like you know about whatever sports or technical programming language they may rant to you about. Don’t act like you are supposed to have the knowledge of a professional chauffeur or feel pressured to do something you do not feel comfortable doing. Just do you. You are probably going to mess something up at some point. You will miss an exit, forget to start the ride (or end the ride), accidentally drive into Mexico, etc. When this happens, remain calm and focus on the road. Make sure to pull over when it is safe and you feel comfortable if you need to. Don’t jerk the wheel in a last minute attempt to change course. People prefer to feel safe versus the convenience of taking the perfect route. If it is a technical issue, make sure to message Lyft through the help center. You aren’t the first to make this mistake. I promise. To be honest, a lot of the learning experience is trial by fire. The more you drive, the better driver you’ll become. Everyone has different preferences on the hours and places they like to drive. I am going to highlight some generalizations on when and where to drive once you start to get the hang of things. I suggest trying all of the hours at least once, keeping in mind that each day will look different during those same time periods. Of course, you can drive whenever you want to so don’t feel pressured to drive any hours you don’t actually want to. Weekday Nights: Evenings have good volume, generally speaking, but it will also depend on the day of the week. Tuesdays and Wednesdays tend to be rather slower than Thursdays and Fridays. You will often experience less traffic and this will make it easier to drive, as long as you’re driving after rush hour has abated. No matter what day of the week, people will go out for drinks and potentially be drunk. If you are worried about your passengers being wild, I would suggest logging off by 11 p.m. Weekday Mornings: These hours will generally have a lot of commuter passengers. These are people who commute using Lyft. Often you will get passengers who missed their train/bus or passengers who are going to an interview. These passengers tend to be quiet and more logical/reserved. Traffic tends to start off ok and turn into a nightmare as the morning churns on. Keep in mind fewer drivers are out in the morning so you may find more success before rush hour. The early bird gets the worm as they say. Weekends: Your weekend passengers will generally be more social and in a better mood. After all, it is the weekend. Though also keep in mind many people work on the weekends, too. You’ll likely get requests for people heading into their weekend jobs. If you drive during a Sat./Sun. morning you may get some hungover people going home after a night out or going to their vehicles to pick them up from the bar they left the night before. Often these can be great times for Primetime as fewer drivers are out in the morning. As the afternoon comes around you will likely get requests from a lot of places for people who are going out to enjoy the weekend. Look into what festivities are happening around your city to be better equipped for bigger events. One thing to keep in mind is that there are a lot of drivers on the road during the weekends. Drivers with full-time jobs will be on the road when they otherwise would not be. Saturday Evening: This time will get pretty busy as people continue to go out, begin their night, end their night, etc. It’s typically the highest volume part of the weekend. However, it is also the time where most drivers are on the road. As the night comes to a close, you will get a lot of business around bars, events, conventions and concerts. Primetime pricing tends to peak on Saturday nights whenever the bars let out. This is when the most number of passengers often need a ride all at the same time and there is rarely enough driver supply, so prices go up. Sundays: Mornings begin decently as people return home after crashing wherever they ended up the night before. Expect a lot of quiet rides with disheveled passengers. As the morning progresses, people will begin to go out to church, for brunch and other Sunday daytime activities. As Sunday night comes around, business generally drops as people prepare for the work week. Beaches: If your market has a beach scene, there is usually a spike in business as the sun sets on the weekends. You may get some Primetime rides from the beach. However, you may also get a lot of sand in your car. So bring a towel. After a few days you will get the groove of where and when to drive and how to operate the Lyft app. Hopefully you will have made a few hundred dollars when all is said and done too. So now that you have jumped through all of the hoops of becoming a Lyft driver, you can begin meandering the streets to earn money as a driver. If you’re on the fence about signing up, I say just go for it. There isn’t a whole lot of risk to trying it out and in a best case scenario, you could be out on the road giving your first ride in as little as 3-5 days after submitting your application. You’ll probably end up liking it and at least doing it here and there when you need some extra cash. And if you don’t, you’re always free to quit! How do I apply for Lyft? To sign up for Lyft, to go to Lyft.com and click on “Apply to Drive”. From there you’ll be taken to a screen where you’ll enter your phone number and agree to Lyft’s terms and conditions. Click “Submit” and you’ll be well on your way to becoming a Lyft driver. They’ll run a background check and contact you once you’re approved for driving. Why should I sign up with a Lyft referral code? If you sign up with a Lyft referral code, you’ll be qualified to receive their sign-up guarantee. An example of this is if you complete 295 rides in your first 90 days, you’re guaranteed to earn $2,800. So, if what you earned completing those 295 rides was under $2,800, Lyft will make up the difference. If you sign up without a referral code, you don’t get a chance at those extra earnings. How long does it take to be approved to drive for Lyft? This varies. It states on the Lyft website that the background check could take several weeks to process. But, for the most part, in my experience it takes a few days. Granted, if the process is taking longer than expected, you can view your application process as you go. No, there is no mileage requirement in order to drive with Lyft. As long as your car meets the other requirements, you can drive for Lyft with as many miles on your car as you would like.